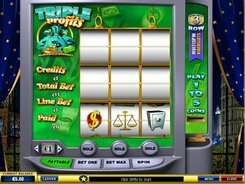 Mr. Cashback is a 5-reel 15-line slot machine. Bet up to 10 coins per line and select the coin value of up to $1. The maximum amount you can wager is $150. 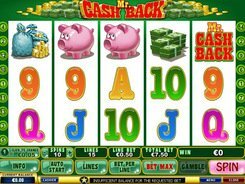 The coin jackpot of 7500 is paid out for five Mr. Cashback symbols appeared on any payline you have bet on. The slot logotype scattered anywhere on the reels grants an award. Three scatters in any position pay x5 your bet, four symbols pay x10, and five symbols pay x100. Besides, the scatter triggers the free games round if three or more of them appear on the reels. 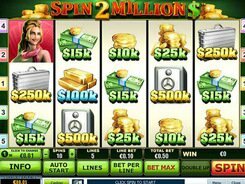 You get 12 free spins with a x2 multiplier. A fascinating feature about Mr. Cashback is that the slot ensures you a cashback amount. 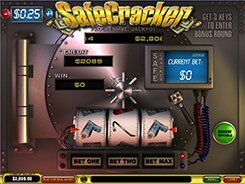 When playing the slot, you will be indemnified a 50x cashback on your bet per line provided that the payline fails to win 50 spins in succession. 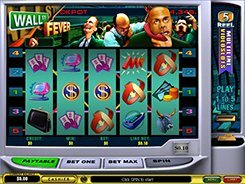 Thrill-seekers are sure to play the ‘hit or miss’ Gamble feature. The correct choice will double up your win, but a failure will forfeit your winning in the spin that has triggered the feature. Here you have to pick a color (red or black) of the facedown card. PLAY FOR REAL MONEY!